The Greenville Public Library has recently partnered with Oakley Place Assisted Living to provide programming to their residents. Reference Librarian Caitlyn Clark will be sharing her love of reading with the residents twice a month as a Fireside Reader. Based on the interests of the residents, she will be reading excerpts from several Chicken Soup compilations and will be taking future reading requests from those who attend. 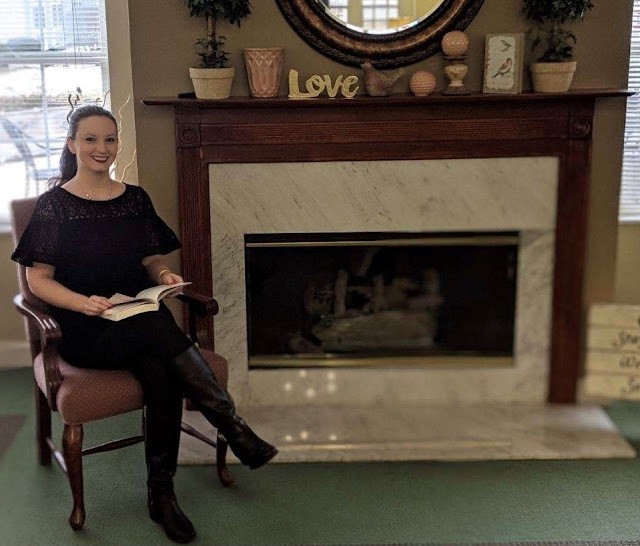 Caitlyn is currently scheduled to read on 29th at 11:00 a.m.
Warren Richards, also a Reference Librarian, will be coordinating games at Oakley House. He will be introducing various games to the residents that concern memory building and cooperation. Visits from Warren will occur once a month beginning in April. The Library is very excited about this newest outreach opportunity and we look forward sharing our resources with the community there.